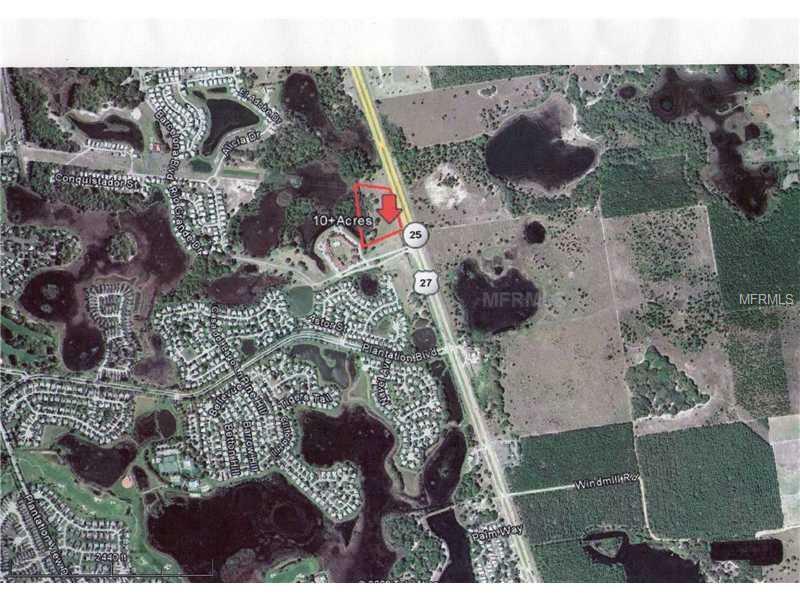 Excellent commercial building opportunity on 10+ acres with 660 ft prime highway frontage on busy SR 27, located in Leesburg, near premier retirement community, The Villages. Location just past CR 48, at entrance of retirement communities Spanish Village & The Plantation at Leesburg. Possibilities abound with this property of 7+ acres high/dry & 2+ back acres of wetland & pond that would make for great view & water feature from professional office building, medical or assisted living facility, restaurant, etc. Owner financing available!